The classic rolling cooler is the workhorse of most every outdoor adventure. 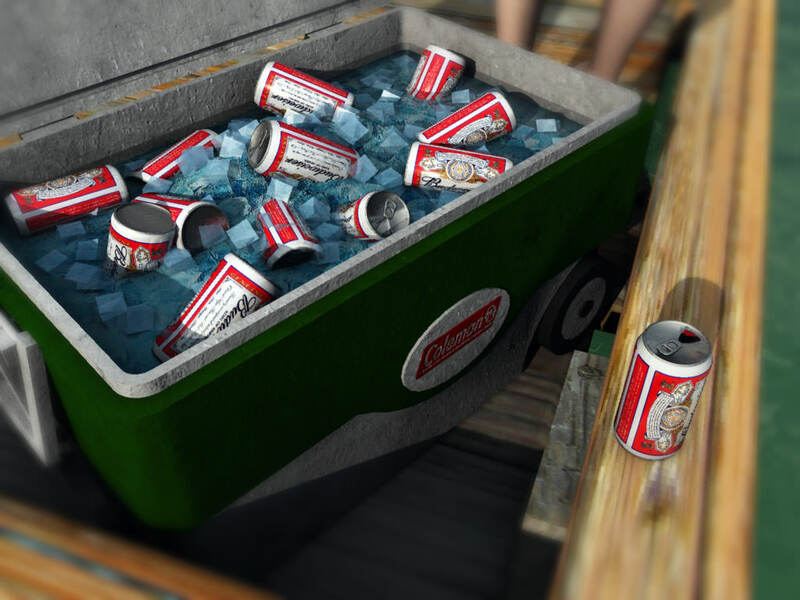 Whether it’s camping, fishing or an extended off-road excursion, the cooler is there to keep food and drinks chilled and safe from spoilage, well, as long as there’s enough ice. Thankfully this cooler comes preloaded with ice, so you’re good to go. With high-res textures and a low-poly count, there’s no reason not to drop this guy into your scenes for a little added detail. The lid and handles are fully rigged, making posing in your scenes easy as pie. And just like in real life, there’s no such thing as free beer, so it’s BYOB!